For the first time, leaders from governments, businesses, cities & civil society have gathered to pioneer the shift to 100% Renewable Energy to keep global warming to 1.5 degrees. In Marrakesh at COP22, the Moroccan Presidency of the 22nd Conference of the Parties to the UNFCCC and Climate Vulnerable Forum (CVF) hosted a high-level meeting discussing the economic benefits and the moral imperative of a just transition. 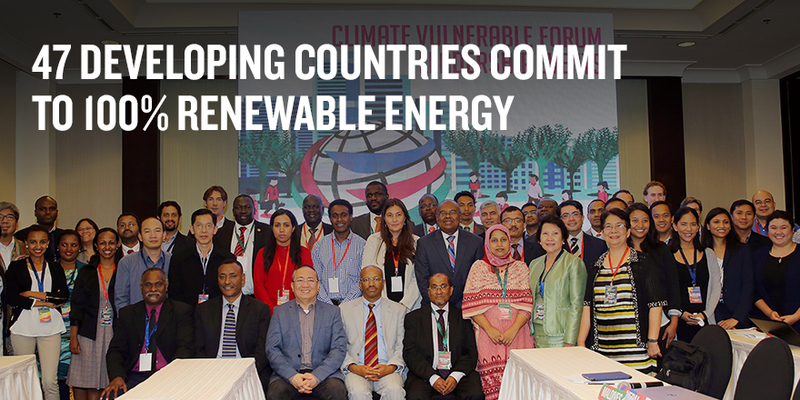 Supported by the United Nations Development Program, the UN Sustainable Energy for All, this meeting was initiated and facilitated by a major non-state actor coalition, including members and supporters of the Global 100% RE Campaign. “There is hope for the climate and future generations when such diverse constituencies lead the way to a swift shift to 100% Renewable Energy, preventing the most dangerous climate impacts,” says Tzeporah Berman, Ambassador of the Global 100% RE campaign and Master of Ceremony of the unprecedented gathering. And as pioneers around the world prove, solutions exist: 14 countries, with small-island states in the lead, have set 100% Renewable Energy targets. More than 300 cities, municipalities and regions are on their way, being the drivers of this transformation process. And the business sector with 81 corporations and thousands of small and medium-sized companies, entrepreneurs and citizens are turning this vision into action. During the 1st World Community Power Conference in Fukushima City last week, key partners of the Global 100% Renewable Energy Campaign highlighted in the Fukushima Community Power Declaration the need for a bottom up process with empowered communities in order to accelerate the needed Renewable Energy deployment. “Citizens, cities and communities around the world are the ones who pioneer the global 100% renewable energy movement – a prerequisite for keeping the world below the 1.5 degrees benchmark. They need our full support, especially in times when national elections are won on the basis of unacceptable and populistic arguments.” said Stefan Schurig, Director Climate Energy of the World Future Council. ICLEI Secretary General Gino Van Begin encourage local governments worldwide to explore the feasibility of a 100%RE pathway for their communities, and to report their commitments, actions and progress to the carbon Climate Registry. “Making progress and reporting it will be crucial in order to secure resources and advocate for enabling frameworks that support local and subnational action in the low-carbon transition.” said Van Begin, Secretary General of ICLEI, a leading global network of over 1,500 cities, towns and regions committed to building a sustainable future. Check out this video to learn more about pioneers moving towards 100% RE. These photos provide some impressions of the event. 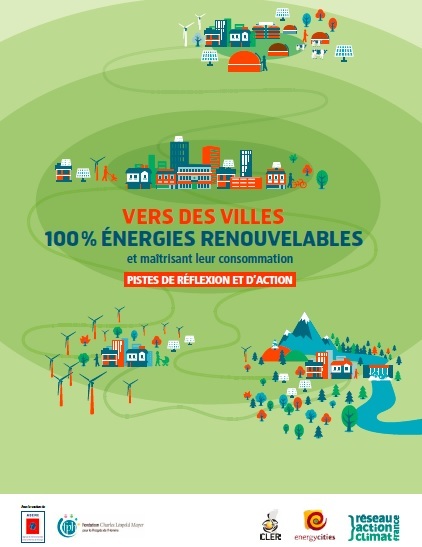 « What does 100% RE mean for cities?